The UNA Hotel Tocq is a superior first class unique design Hotel.A tasteful usage of colours, materials and light offers its quest for a memorable stay. Among the 122 rooms and suites, 13 apartments are available for longer stays. The UNA restaurant, with its summer terrace, proposes Italian and International cuisine in a glamorous atmosphere and guests can also choose to enjoy the sunday brunch. 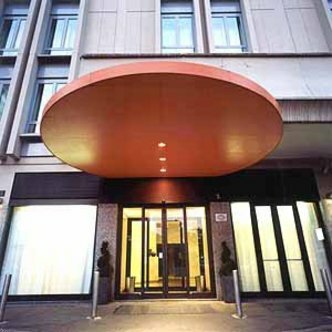 The Hotel is located in the trendiest area of Milan, nextdoor to theatres, shops and clubs in the city centre. Easy Access to Duomo Cathedral, La Scala Theatre, Via Monenapoleone, Brera, fairground, train stations and air terminals. Underground, Garibaldi Stop (Green Line)is 200 mts.